I am a 45 year old single mom who is just starting her adventures in becoming a Triathlete. I am in the process in getting approved for weight loss surgery and hope to have surgery by the end of July or first part of August. I am a member of the Metro Tri Club Team Godzilla in Edwardsville, IL. 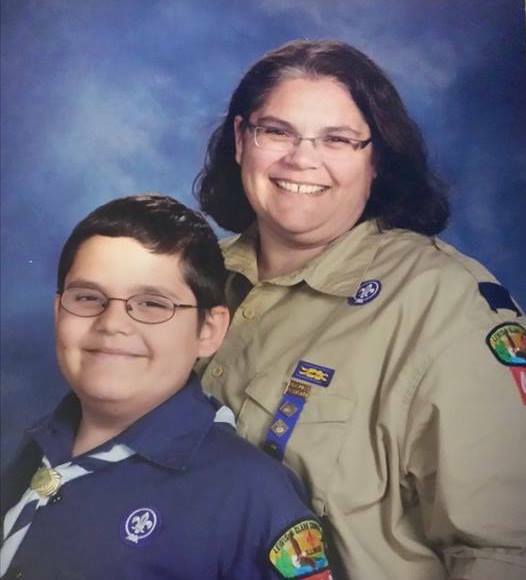 Besides being a single mom, I am a Cub Master for my son’s Pack and a member of my sons school board. I work from home for my full time job and trying to piece everything together to get my training in. Hey there! I do a blog following spree every once in a while, and this July I’m going 7 for 7: following 7 fun blogs a day, each day, for the seventh month. Yours is today’s #2. Feel free to come visit me at http://www.thatssojacob.wordpress.com and if you like what you read, follow back! Thanks and have a great day!